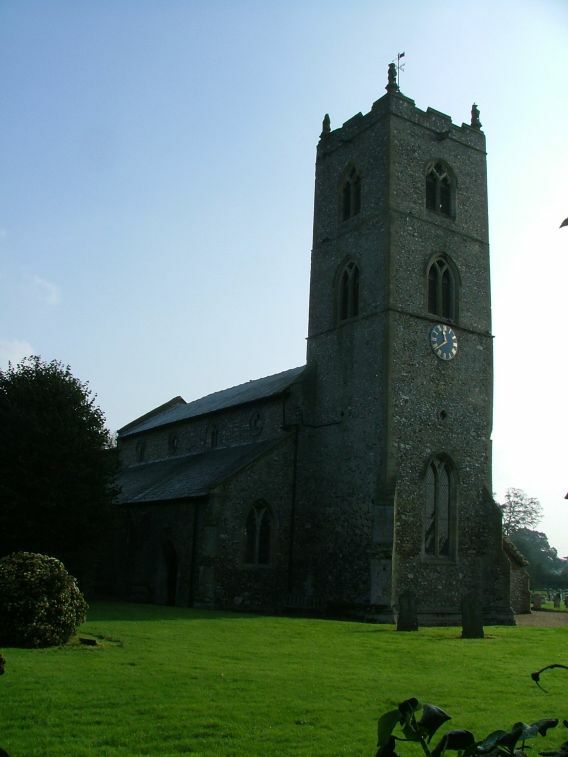 Gayton is one of those largish, comfortable villages that you get in this part of Norfolk. It is as if they have broken away from the orbit of anywhere bigger, and this gives them a self-sufficient air. 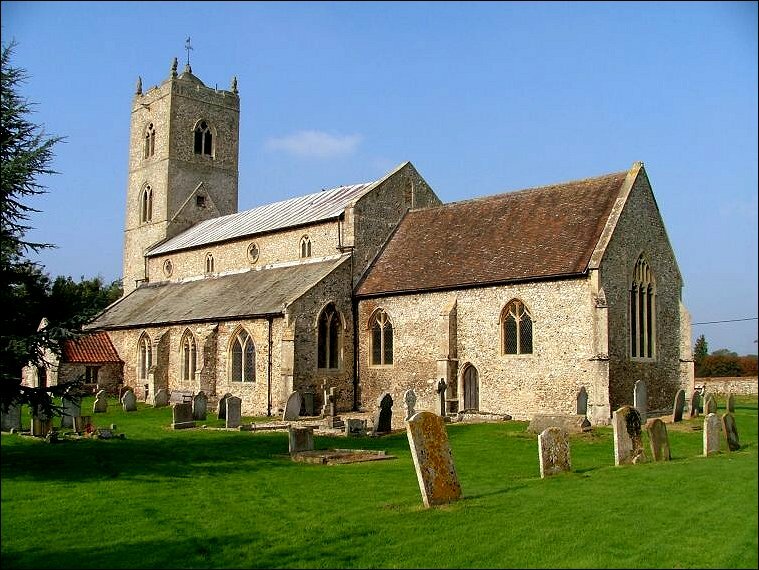 And St Nicholas is a large church; if a Martian came down to Gayton he would have no doubt that the church was its most important building, although he might be distracted for a moment or two by the tower mill to the east with its castellated top. 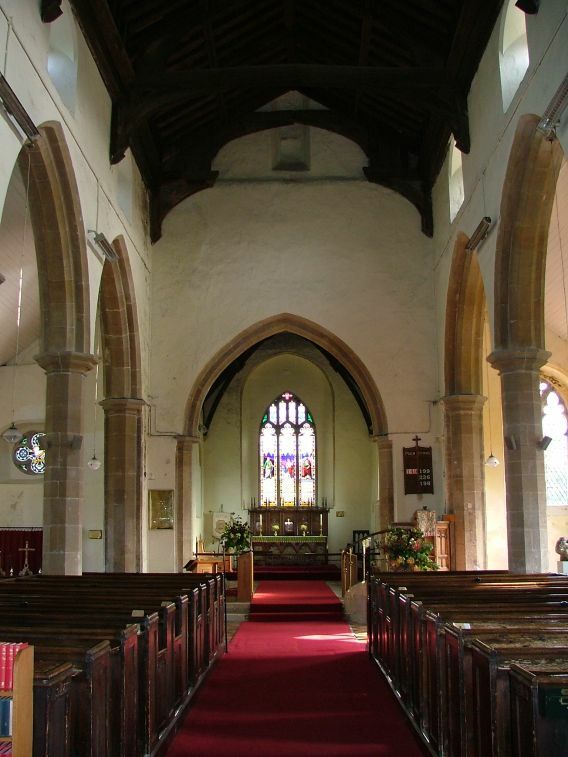 Here is, substantially, a 14th century building, the nave's clerestory echoing similar churches on the north Norfolk coast at Cley and Upper Sheringham. 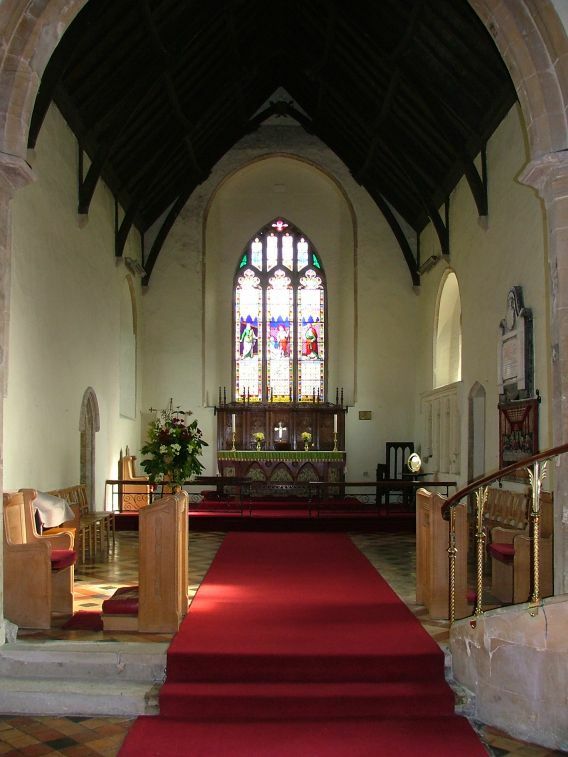 There is a blocked rood window in the gable at the east end of the nave, and the east window of the north aisle has a surprisingly large quatrefoil window. The tower has hardly any buttressing, and consequently appears very tall. 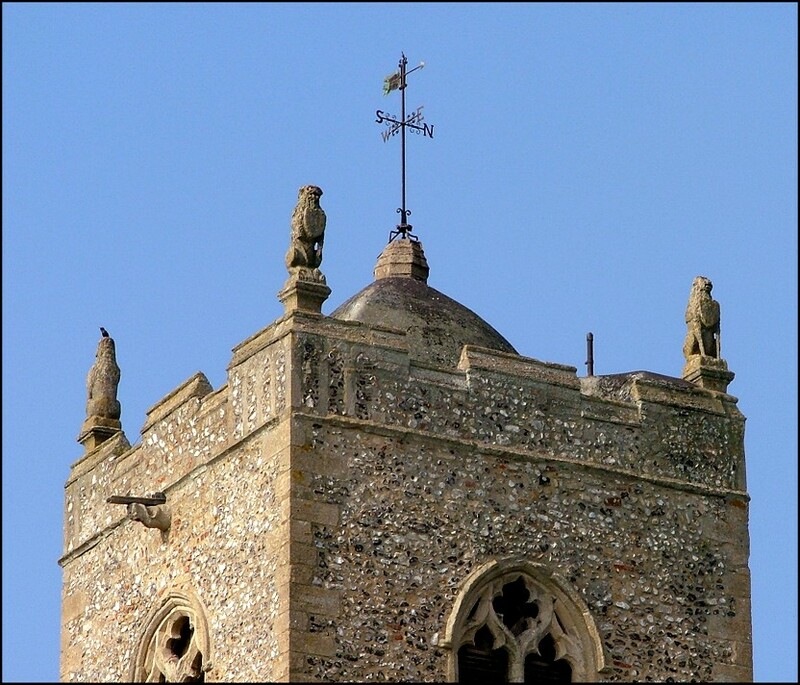 At the top of the tower, four lion pinnacles guard a dome-like structure, which is presumably not medieval. The tower is a bit of a puzzle all round: on its eastern face is the old roofline, a sanctus bell window which once looked down into the nave now exposed above the modern roof. However, stepping inside we find that there is another roofline, a good distance below the modern one, which must have been there before the arcades were built. 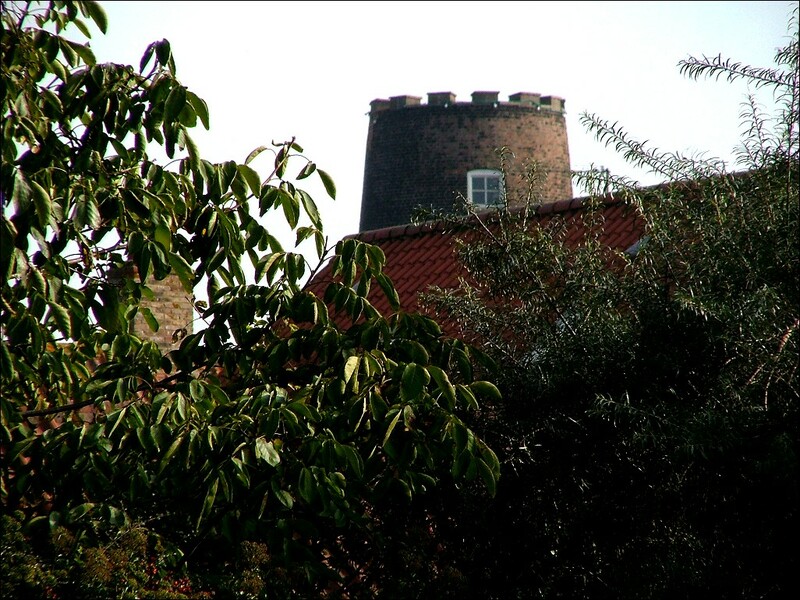 Presumably, the 14th century rebuilding of the church used the stump of an older tower. And the arcades are odd, too. The capitals seem to step down as they head westwards. This may be an illusion, but the most westerly capitals certainly are lower than the rest. 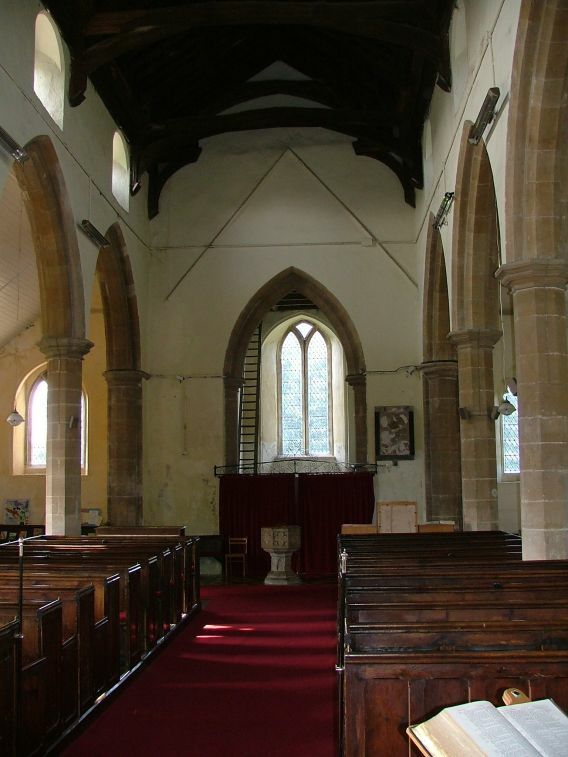 St Nicholas underwent a pretty substantial 19th century restoration. 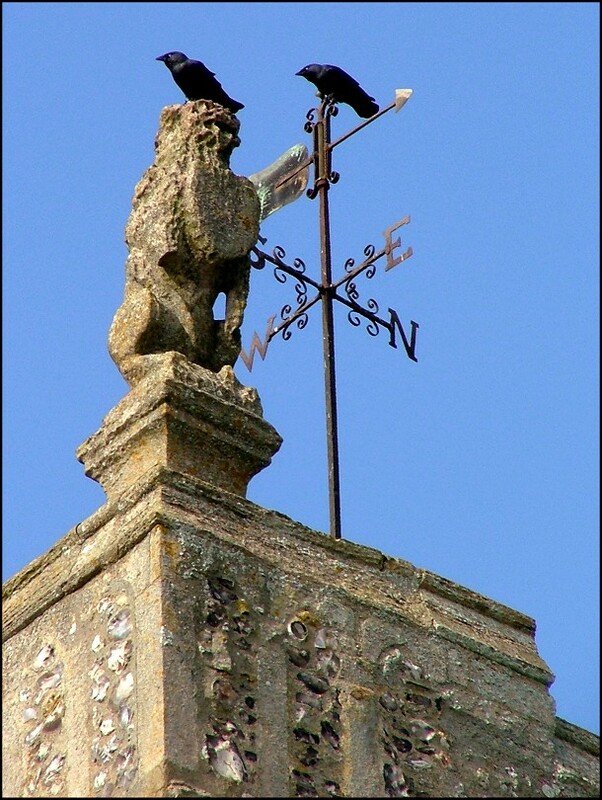 Consequently, it has the rather anonymous character of a town church, but there are a couple of fine details. 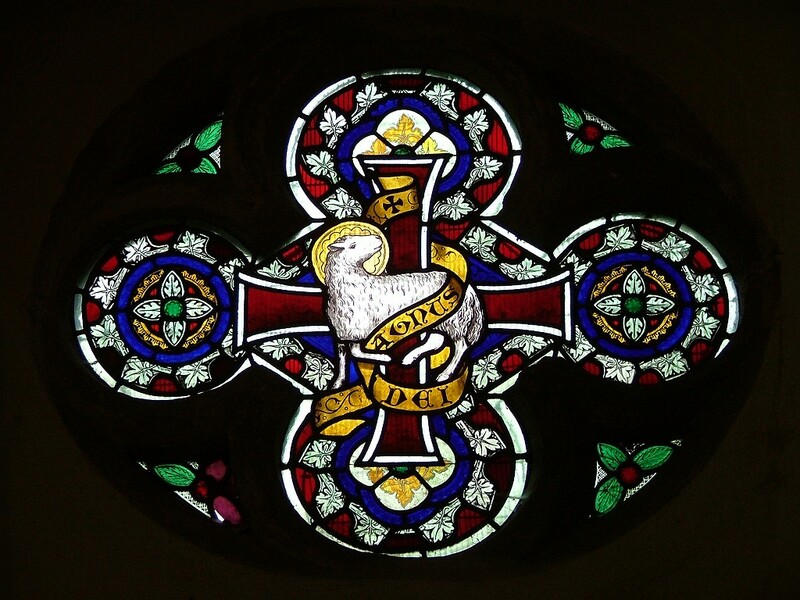 That quatrefoil window, for example, which contains a good 19th century glass of the Lamb of God. In the south aisle is a modern Jacob and the Angel. 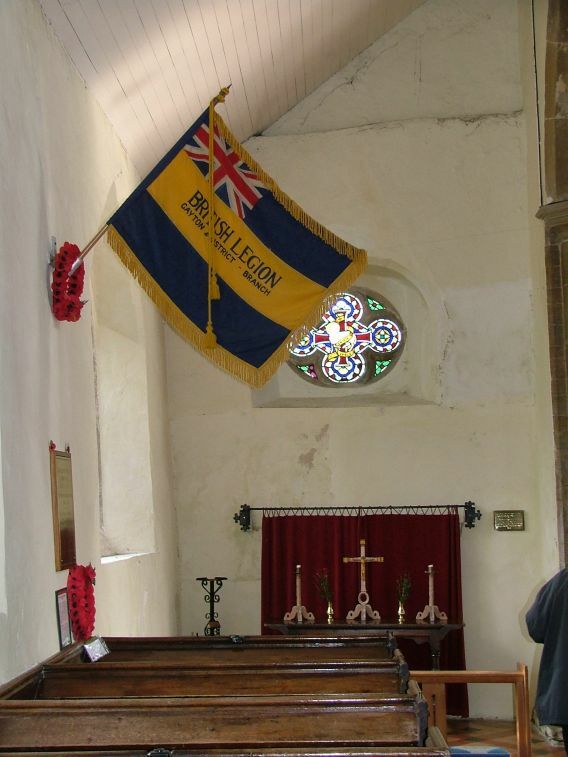 Another recent addition to the church is a war memorial. At first sight, it appears little different from other war memorials, but in fact it was never intended for a church at all. 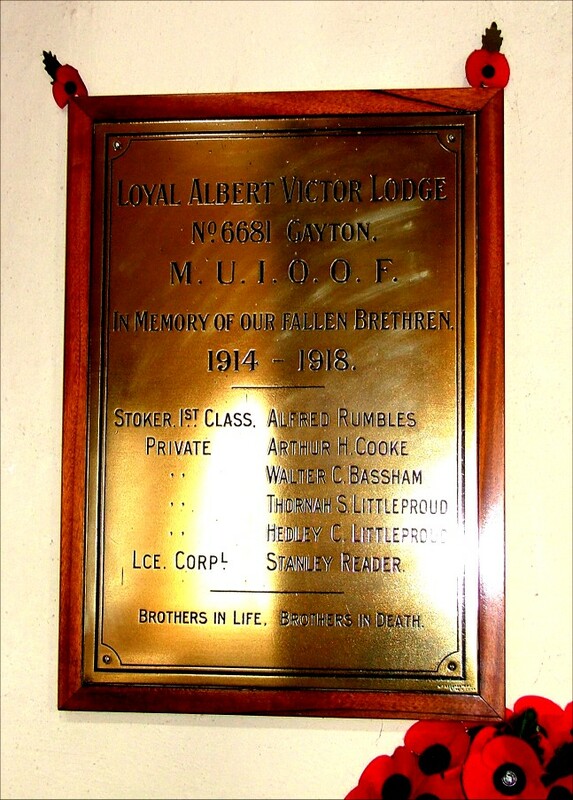 It belonged to the West Norfolk Oddfellows, a kind of friendly society, and was displayed in their club house in Gayton. When the organisation went out of exisitence, the house was sold and demolished, and the plaque ended up discarded in the outbuilding of a garage. 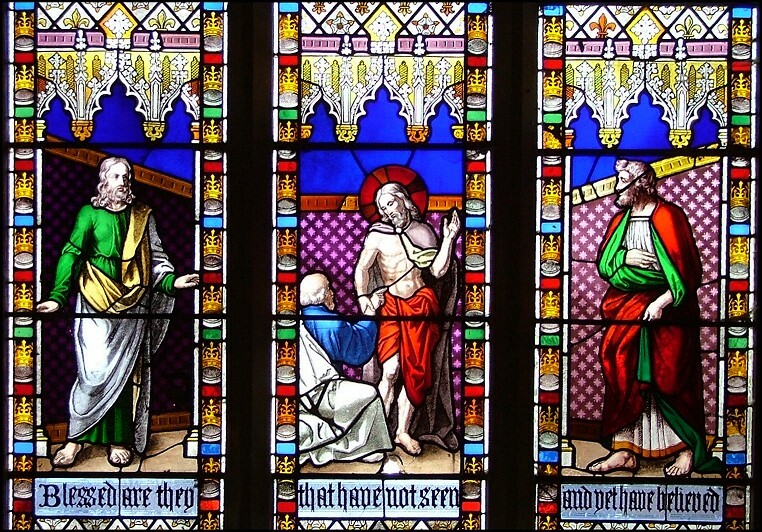 It was found, recognised, and restored to its former glory in 1999, and placed in St Nicholas. 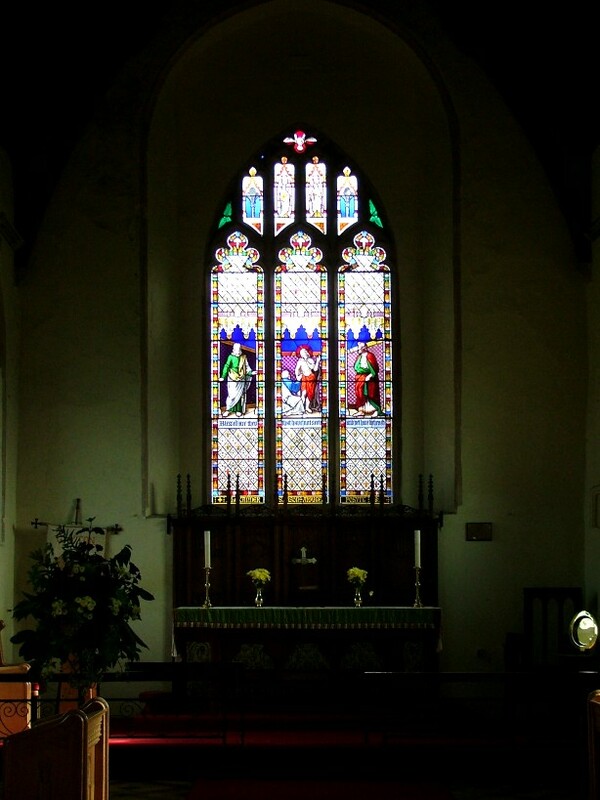 It is a gentle reminder to us that many WWI memorials were not intended for placing inside churches at all, but were put up in social clubs, village halls, schools, banks, shops, offices, and even on street walls. 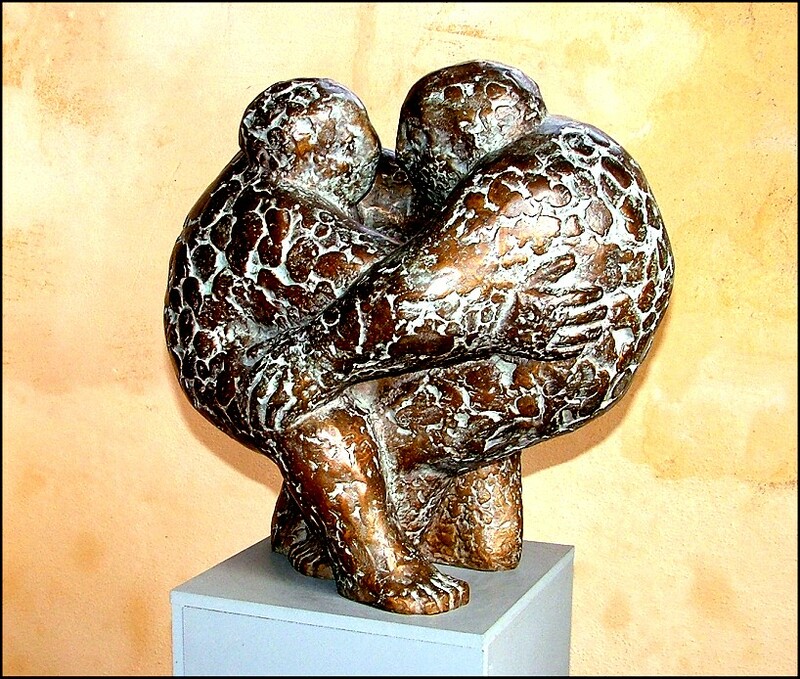 Of course, many of these are still in place to this day, but have become so familiar that we barely notice them - or notice their absence, of course.